7 Kids and Us: Check Out Some of the New Flavors of Oreos! My family has come to love trips to the store just so they can see if there are any new flavors of Oreo. We get so excited to see and try new kinds! 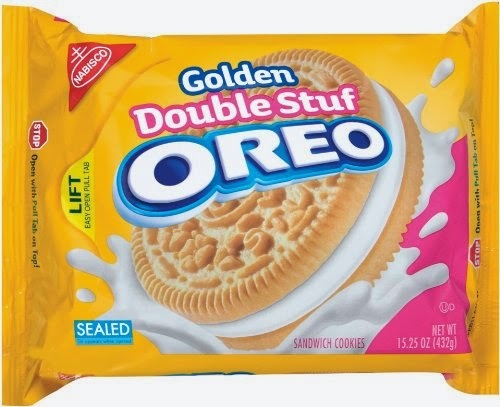 Golden Double Stuff Oreo's are Riley's favorite! He has always been crazy for the cream filling, and he loves vanilla cookies, so this is perfect for him. He likes to dunk them in strawberry flavored milk. Cool Mint Creme Oreo's are definitely MY favorite. I don't think you can beat the taste of chocolate and mint together, it's just perfect. 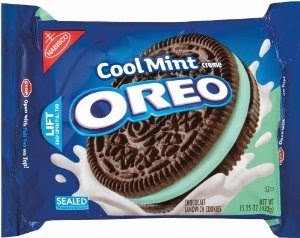 I like too that the mint isn't overwhelming in the Cool Mint Creme Oreo's...it's subtle and good. 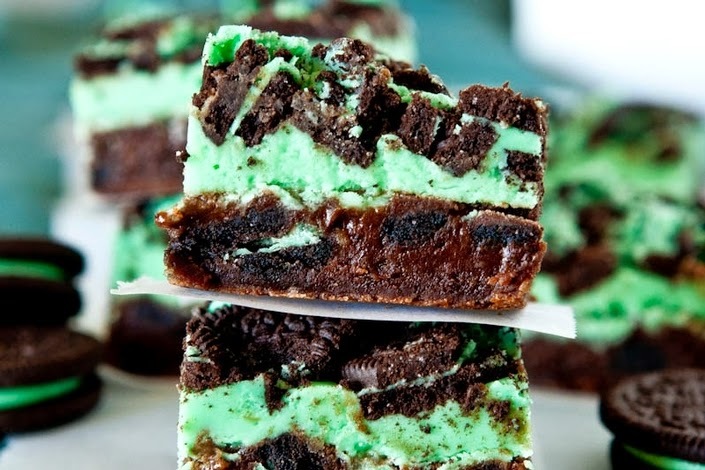 I recently came across a recipe for Triple Layer Fudgy Mint Oreo Brownies and thought these looked so delicious! 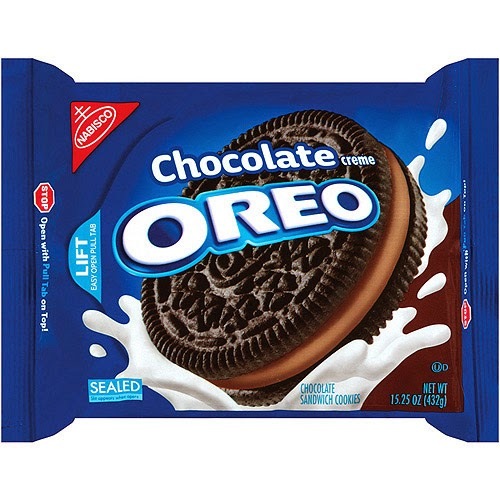 Xander's favorite is the Chocolate Creme Oreo's. He likes the double intense chocolate flavor. He likes to open them up and eat the chocolate creme first and then dunk the cookie parts in milk. 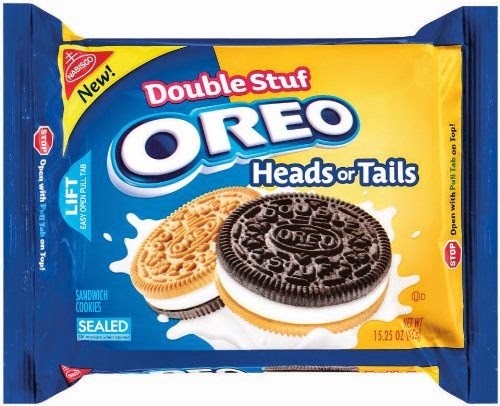 If you just can't decide whether to choose vanilla or chocolate Oreo's, try the Heads or Tails. The boys figured out that they could use them to play checkers and whenever they jump their opponent they eat the cookie as the prize!